Breaka Breaka 1-9: Where are the best UHF radios in Oz? I've become more adventurous and outdoorsy as I've gotten older. The things that used to interest me when I was younger - bars, nightclubs, and late nights, have been replaced with mountains, rivers and early mornings. A change for the better, sure, but who would have thought that being close to nature would be such an expensive pastime. I learnt the hard way when it came to buying my first lot of camping gear and all I can say is that if you're getting a tent for $15, be prepared for $15 worth of protection. As our outdoor crew love to be in amongst the mountains, mobile phones don't always work so a few sets of walkie talkies are a must. When it comes to safety in the mountains there is no point being cheap as it could cost you your life. That's why I bought my UHF radios from Auscomms. If you are looking for two way radios, these guys are the best. 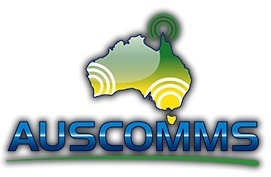 Auscomms Communications are Australia's premier two way commercial UHF/VHF and CB radio provider. The team are extremely knowledgeable about all forms of communication devices and they are happy to guide you step by step to help discover the best two way solution to suit the demands of your business, event, or recreational activity. The first two way radios I purchased were a set of waterproof Icom UHF walkie talkies. These walkie talkies are perfect for the 'outdoorsman' as I can safely take them into the backcountry when snowboarding and have the peace of mind that they will still work if they get wet. They're also dust resistant, which comes in handy during the hot Queensland summers when your camp site resembles a dust bowl. Auscomms carries a huge selection of brands including Oricom, Motorola, GME, Uniden, Kenwood, Hytera, Mobile One, and Delta so you are spoilt for choice. If you're only just getting into the outdoor lifestyle and want to try before you buy, Auscomms two way radios are also readily available for hire. This is a great idea as a few sets of these UHF radios can become quite an expensive investment so if you're only looking at using them once a year keep this option in mind to save you a bit of extra spending money. Auscomms are also a proud industry association member of the Australian Radio Communications Industry Association (ARCIA) so you can rest assured that all their products are of the highest industry standard.